The English heavy metal band was formed in the year 1979. The band saw its origin in Newcastle upon Tyne, England. The band came to prominence during the New Wave of British Heavy Metal. The band’s debut album ‘Welcome to Hell’ which was released in the year 1981 along with its follow-up ‘Black Metal’ which was released in the year 1982 are still considered to be a major influence on thrash metal and extreme metal as such. The second album of the band became so much renowned that the title of the album was later used as an extreme metal subgenre. The band’s third studio album titled ‘At War with Satan’, which was released in the year 1983, peaked at #64 in UK Albums chart. The band has released 9 compilation albums so far. 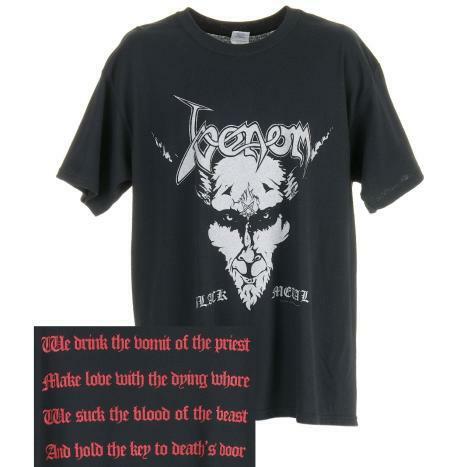 Venom has also released 13 studio albums, 2 EPs and a live album. The latest studio release of the band titled ‘Fallen Angels’ was released in the year 2011.